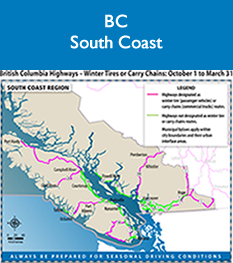 Planning a road trip during the holidays? 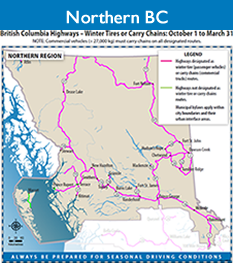 If you are driving through any mountainous region in BC (ie: Whistler or Kelowna) you are required, by law, to be equipped with winter tires or chains between the dates of October 1st and April 30th. Should you get pulled over and not have the appropriate requirements, you may be fined as much as $109 and even be requested to turn back! 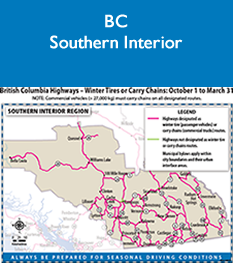 Also make sure to view the Government of BC’s requirements for winter tires and safety tips for driving in winter conditions.